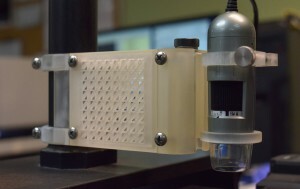 3D printing can help repurpose unused or outdated pieces of equipment and give them a new life. This can apply to many different industries. One firm that has taken advantage of 3D printing for this process comes from the Printed Circuit Board industry. In this case, Sunstone Circuits was faced with new customers having unique tolerance requirements (+.000”, -.001”) and needed an interim solution for inspection and validation until a permanent one could be found. 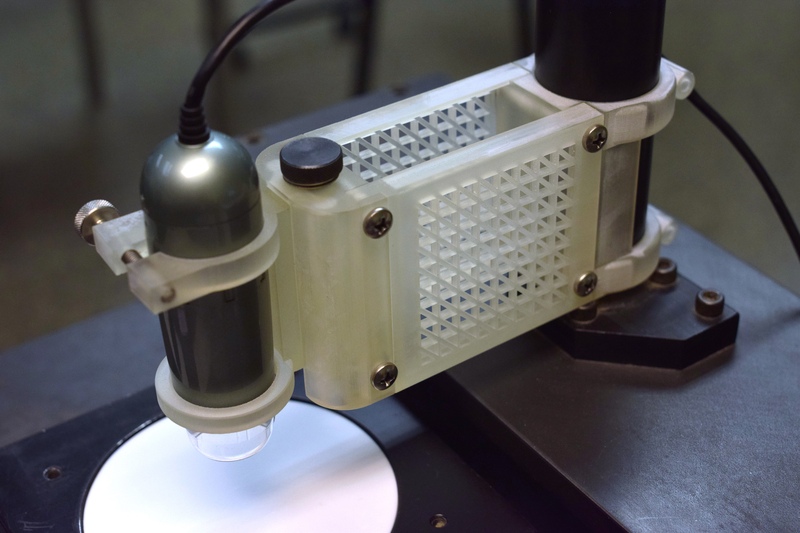 Using an older piece of equipment and a relatively inexpensive camera, they were able to 3D print a solution to meet their urgent needs. The outdated piece of equipment has a stage with x and y micrometers to measure the distance between two reference points. A camera is also used to capture those reference points. The problem was that the original camera assembly was not stable enough. The solution for this piece was to design and 3D print an adjustable arm to firmly hold the camera in place. This solution was successful in that measurements were easy and accurate.